Riyadh was also criticized for being “too slow” on delivering a report on alleged war crimes, including the intentional targeting of civilian areas. Yemen, a nation with just under 30 million people, has been mired in civil war since 2015, with a Saudi-led coalition supporting the official government of Abd Rabbuh Mansur Hadi against an Iran-backed Houthi rebellion supporting former President Ali Abdullah Saleh. Britain is officially one of Saudi Arabia’s partners in the enterprise providing armaments and military advice. In December, Defence Secretary Michael Fallon confirmed the usage of British-made cluster-bombs by Saudi-led forces on the ground in Yemen. He insisted the targets were military bases and not civilians. “From a UK perspective and to protect our reputation and example to the world in terms of arms export licensing, it is right that we suspend our sale of arms to Saudi Arabia until a UN-led investigation is completed,” said the Committees on Arms Exports Controls chairman, Conservative MP Chris White. 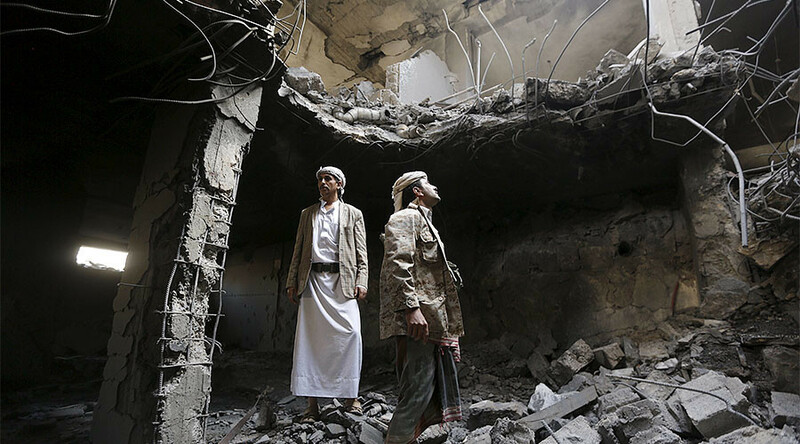 According to figures collected by Campaign Against Arms Trade (CAAT) the UK has licensed £3.3 billion (US$4 billion) worth of arms to the Saudi regime since the beginning of the Yemen bombing campaign. Nearly half of that amount (£1.1 billion) was spent on bombs, grenades and missiles alone. 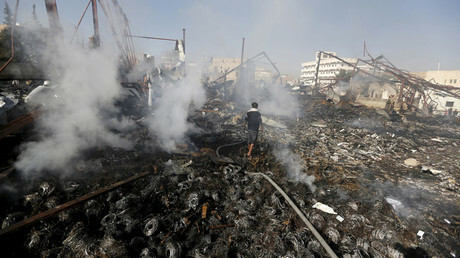 “The UK government has been complicit in the destruction of Yemen and the humanitarian catastrophe that has been forced upon the Yemeni people,” said CAAT spokesman Andrew Smith. British comedian Eddie Izzard, who was born in Yemen, also appealed to the government on Wednesday for an independent investigation. “Labour MPs have raised Yemen in Parliament time and again and there was an Opposition Day debate to highlight this issue, but we must keep up the pressure so that ministers act,” said the Labour supporter. “The UN has found that 60 percent of civilian casualties in the conflict are because of coalition airstrikes and a report by the UN High Commissioner for Human Rights last summer laid out a number of serious allegations of violations of international humanitarian law and human rights law committed by all sides.